I am a huge fan of Nivea Nourishing Body Milk. It makes my normal body skin super soft and smooth without any residue behind. As the summer season is just around the corner, I have been looking for a light body lotion and came across this version. 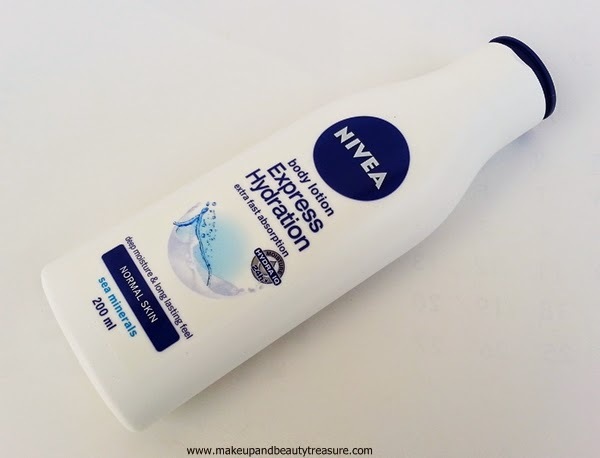 Today I am going to review Nivea Express Hydration Body Lotion. It is priced at Rs 170 and you can buy online HERE. 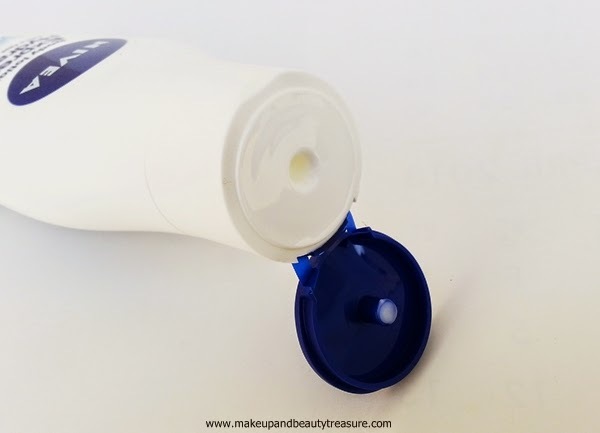 Nivea Express Hydration Body Lotion comes in a sturdy white plastic bottle with a dark blue flip top lid. The packaging is quite neat and simple. The lid shuts with a satisfying click and thus the bottle can be easily carried around in a handbag without any fear of leakage or spillage. The scent is very mild and pleasant. If you sensitive nose then you might like it. It is pure white in color and looks soothing to eyes. 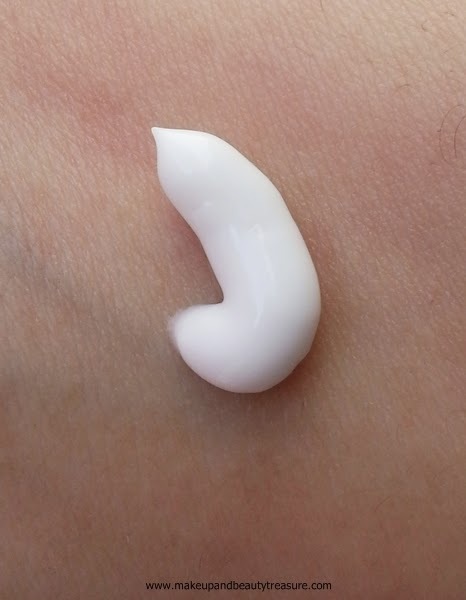 The texture of the body lotion is soft and smooth. It has fairly good consistency. It is neither too thick nor too runny. It is applied on the skin effortlessly. It easily and quickly absorbs into the skin without leaving any residue behind. It leaves my skin feeling soft, smooth and moisturized. It contains sea minerals that keep skin moisturized the whole day. After applying the lotion, I don’t feel the need to wash any remaining product from my hands. Although the lotion is lightweight but it takes good care of my normal body skin. The scent is fresh and lingers with me for quite a few hours. I don’t feel the need to reapply the lotion throughout the day. As it does not contain sunscreen I make sure to apply one to protect my skin from harmful sun rays. It is extremely mild and gentle and is suitable for daily use. It does not cause any adverse effects to my skin. As it is meant for normal skin, I do not think it will suit dry skin as it is not quite rich enough to quench thirsty skin. If you have dry skin then pamper your skin with Nivea Nourishing Body Milk. • Lightweight and non greasy formula. • Great for normal and oily skin. • Not rich enough for dry skin. 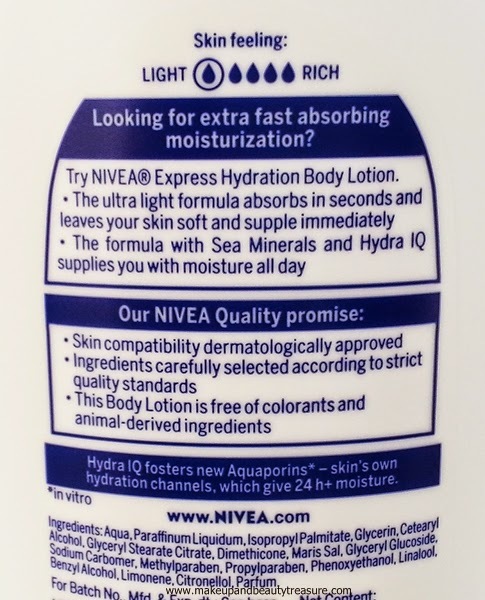 Nivea Express Hydration Body Lotion is great lightweight body lotion for summer. It gets absorbed quickly and makes skin soft, smooth and moisturized. The scent is very pleasing and mild. It is infused with sea minerals that keep skin nourished the whole day. I would definitely recommend it to people with normal and oily skin! A perfect non greasy body lotion for summer! 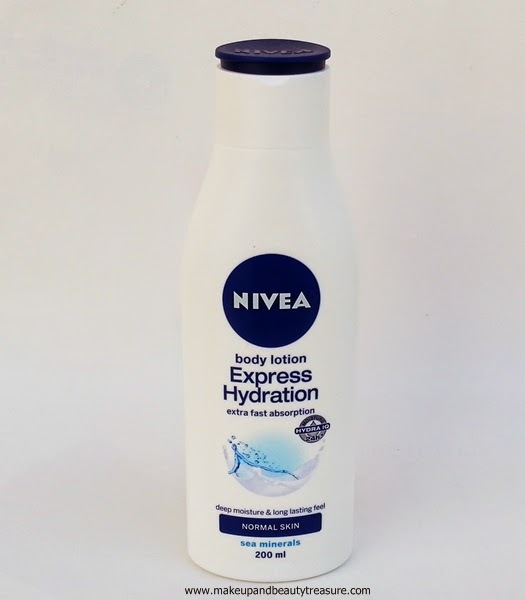 Have you tried Nivea Express Hydration Body Lotion? How was your experience? Share in the comments section below!